Lough Boora Discovery Park is setting the scene for a spook-tacular family day out alongside the magical fairies that inhabit Lough Boora Discovery Park. 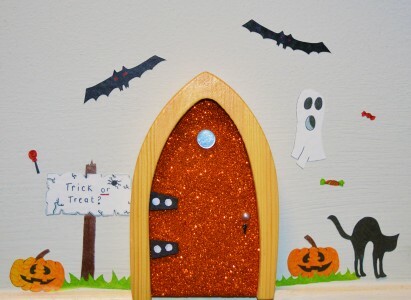 The Bord na Móna event, in association with The Irish Fairy Door Company, takes place this Halloween, Saturday October 31st from 12 to 3pm and promises to be full of magic, fun and laughter. All sorts of wonderful and magical things happen along the Fairy Avenue in Lough Boora Discovery Park, especially at Halloween when the human world brushes closely with the magical world. Children from across the Midlands and beyond are invited to explore the specially decorated ‘Enchanted’ forest and chase away the mischievous tricky pixies, who love to play tricks on Halloween! Follow the giant troll footprints around the spooky maze to find a selection of sweets and treats while also keeping an eye out for the tiny pumpkin patch which the fairies have been busy planting! Bord Na Móna will also be hosting a wide range of Halloween themed activities and games on the day. Little ‘fancy dress’ attendees will be invited to partake in traditional Halloween games, spooky arts and crafts and will also have an opportunity to get into the spirit of Halloween by getting their faces painted in a serious of ghoulish characters. There will be fun and games including troll bowling with pumpkins and ‘guess the number of ghosts’ to win special edition orange sparkly Fairy Doors. Savour Halloween cupcakes and sip a hot chocolate to keep sweet and warm for what promises to be a truly memorable day out. A special entertainment tent will also be set up, where each child will take home goodie bags full of treats.